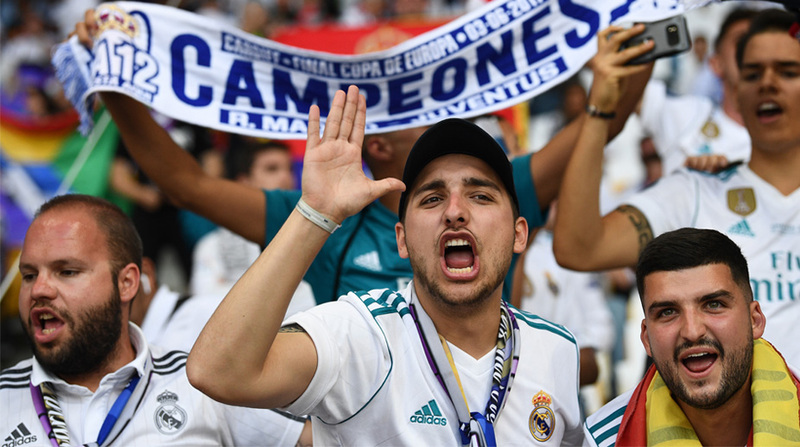 Celebrations of the Champions League final win by Real Madrid, held at the iconic Cibeles fountain in the Spanish capital, went off peacefully with 38 people sustaining mostly minor injuries. Eleven of the injured were taken to hospitals on Saturday, mainly for falls, fainting and alcohol poisoning after being treated by the Civil Protection squad SAMUR, reports Efe. The two most serious cases was a person who had to be taken to the hospital after having a seizure due to unknown causes and another who sustained a head injury during a fall. Most of the people taken to hospitals needed the odd suture or minor medical assistance. Madrid’s emergency services said that in general the celebrations took place without any major incidents despite the huge gathering of fans, who thronged to the Plaza de Cibeles for the traditional celebrations of the victory of the capital’s soccer team. Fans will gather at the square once again on Sunday, when the Real Madrid team will offer the Champions League trophy to Cybele, the Phrygian goddess of nature, after whom the landmark is named.